The vast majority of Emmersons Solicitors Will Drafting clients seek advice about Inheritance Tax Planning, luckily not all of our client’s estates will be liable to pay this punitive tax. We can often help others to plan to avoid or reduce Inheritance Tax Liability. As many of you will be aware, house prices have increased hugely over the last ten years. However, the Inheritance Tax threshold has hardly increased at all. Inheritance Tax was largely a problem that the super rich had to deal with. Now large swathes of the population are worried about how this will affect their families. The Prime Minister did mention doing something about this, in nearly five years he hasn’t acted. It is therefore probably safe to say that the Inheritance Tax threshold will remain as it is for the foreseeable future. I would of course, be delighted to be proven wrong. Will Your Estate Have To Pay Inheritance Tax? If you are single or divorced then the first £325,000 of your estate is free of IHT. If you are married then all monies/property that pass to your spouse or civil partner will be free of IHT. Consider Fred and Sarah. If Fred leaves all of his estate to Sarah and he predeceases her, she will receive everything free of tax. When Sarah dies she can add Fred’s £325,000 IHT allowance to her own. Thus there would be no tax to pay on the first £650,000 of Sarah’s estate. I saw a couple recently who had decided to leave half of their estate to their adult children and half to each other. The trouble with that plan was that they were about to give away a big chunk of their tax allowance and so their tax bill would be far greater. In addition, there could be other problems. Let’s use Fred and Sarah again. If Fred decided to give half of his home to his two children upon his death and the other half to Sarah, she could actually find herself homeless! What if one of the children was to divorce after Fred’s death? Their spouse could claim an interest in Sarah’s home. If one of them were declared bankrupt then the Trustee in Bankruptcy would seek their share of the property. If that child died before Sarah then their beneficiaries would seek their share of the house! 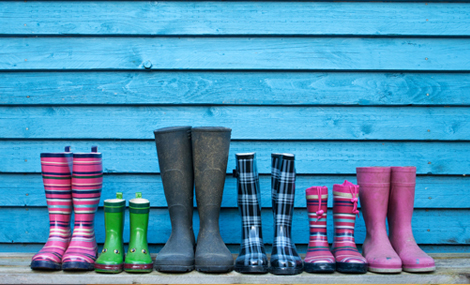 At Emmersons Solicitors we do draft wills gifting part of a house to adult children. However, we also include clauses to protect the surviving spouse who needs to continue living in that house. The only way to protect everyone fully is to set up a trust. However, this is a separate legal entity with a life of its own. It can, as a side issue, potentially protect you from having to pay huge amounts of money in respect of care home fees. Each person’s circumstances are different. The issues are often complicated and require a lot of thought and planning. 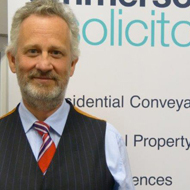 When I qualified as a solicitor twenty five years ago, drafting a will was a very simple affair. That is no longer the case. I have to work out the competing interests of tax planning, care home fees, the fact that you can expect to live for over twenty years before you retire, the fact that you may have children from more than one relationship. The list is endless. At Emmersons Solicitors we take Will Writing very seriously. We offer a bespoke personal service. Our aim is to help you and your family save thousands, and often tens of thousands of pounds. As one of my friends said recently, we want to offer you the perfect grape every time. We don’t want to sell you a cheaper bag of grapes that are often squashed and rotten! Many of you may have set up trusts within your will that are no longer required. That is because previously you could not benefit from your spouses tax free allowance of £325,000 being transferred to your estate. It has been an offence to drive whilst unfit through drink or drugs for some years. Today the police are given a new weapon-a machine that can detect illegal drugs and legal drugs at excessive levels in blood. The traditional method for drug tests was to make the motorist undertake certain roadside coordination tests. The police can still do that. Any person arrested for drug driving can have blood samples or urine samples taken at the Police station by a Police Surgeon for analysis. At Emmersons we have represented many people who have been charged with drink driving or with driving whilst unfit. The biggest mistake people make is refusing to give a sample of breath or blood or urine. That of itself is an offence which can result in 18 months disqualification and a fine as well as Court costs. Given the limitations on legal aid legal representation would also possibly have to be paid for. There are no loopholes. There is just the law. Therefore, whether you are a passenger or a driver, if a police officer asks you for a breath sample then your best choice (and our advice) is to be compliant. Thereafter you should seek legal advice as to the process you have undergone and the possible consequences. Despite what the law says, some Police Officers still feel the need to suggest that getting a Solicitor, if you are to be interviewed, will delay the process. It will not. In our experience people who are interviewed without a Solicitor often regret it-either because of what they have said or what they have failed to say. You don’t have to rely on the Duty Solicitor. If you are to be interviewed ask for Emmersons Solicitors. We are available 24/7/365 and will attend the Police Station within 45 minutes of being told you are to be interviewed. Advice and representation at the Police Station is free.